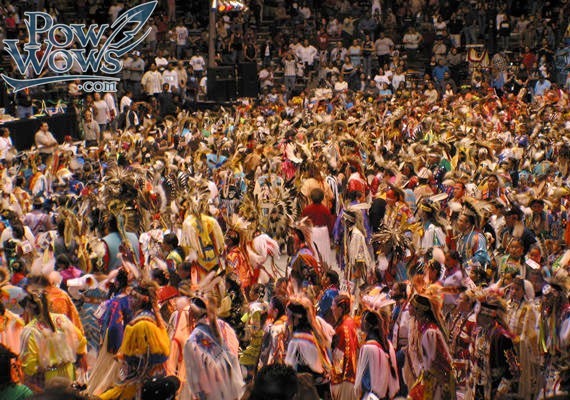 Miss Indian World has proudly celebrated Indigenous women since 1983. But how many of us actually qualify? At that moment, a few other staff members within earshot stepped over to join us. I laughed and thanked my colleague for thinking I looked young enough to be 25. She and the others looked clearly disappointed. My colleague explained that Nemaska was on the lookout for an eligible contestant to enter the Miss Indian World 2017 pageant. In order to qualify, the lucky lady had to be between the ages of 18-25. No problem, I thought. I could think of tons of gorgeous young women in the community. Princesses can't have children - really? I looked into this stipulation further, and the only explanation I found was the job's demanding travel schedule, including public appearances. I couldn't understand why these duties inherently had to exclude motherhood. Considering how many of our young Water Carriers have children - while successfully holding a job and going to school - the criteria almost seemed counter-intuitive. Certainly archaic and colonial. I can't begin to count the number of remarkable, courageous Indigenous women I have met throughout my life. They've tended to be some of the most resourceful, smart, and persistent people I've encountered. For generations, our women have championed as empowered Life Givers. They've embraced motherhood as an important responsibility and gift, and we all benefit from their fruits of their labour every single day. So why does Miss Indian World disqualify many of our communities' greatest heroes? Indigenous awards and celebrations should not exclude our women with children. While motherhood certainly isn't for everyone, it should not be a disqualification - particularly when such a large number of our women are proud mamas raising our next generation of leaders. It's true that a mother with children requires additional support; but I believe contests like Miss Indian World - which so strongly emphasize cultural and traditional knowledge - should budget themselves accordingly. If the princess happens to be a mom, she and her little(s) need to be properly supported. Many people - especially in our Indigenous communities - pair up and get married young. It's accepted, and definitely nothing to be ashamed of. I myself am already engaged and living with my honey. But for whatever reason(s), the Miss Indian World competition has decided that this is a no-no. Unless I'm missing something, there seems to be absolutely no good reason for this rule. In fact, imposing such criteria violates a woman's autonomy and her freedom to make her own choices. Why is she any less worthy of competing if she happens to have a partner? What does her marital status have to do with anything, and frankly why is it anyone's business? To me, this criteria feels just as archaic as the no-kids rule. Between now and next year's Miss Indian World, I'd like to explore the rationale behind the competition's criteria. I'd also like to speak with its organizers and understand where the rules came from. Who wrote them, and have they been at all updated since the first Miss Indian World in 1983? 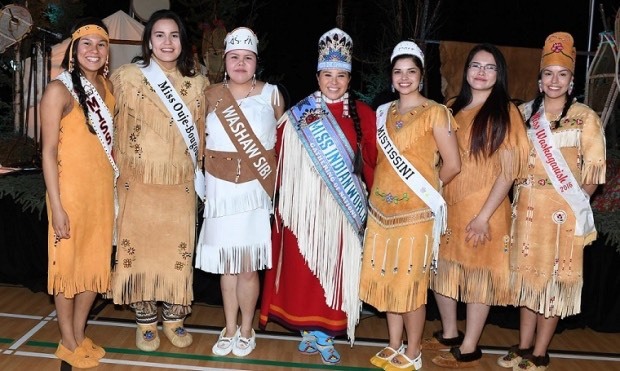 I want to make it clear that in no way am I attempting to shame the remarkable women who participate in Miss Indian World - including this year's winner, Raven Iakonie:ien Swamp from the Mohawk reserve of Kahnawake. Hats off to you, sister! I know for certain that those who qualify for Miss Indian World are remarkably talented, bright leaders who gain a lot from meeting each other at the competition in Albuquerque, NM. All I wish is that the competition be open to more of our superstars who rock it every day with their babies and partners. As it stands, Miss Indian World disqualifies far too many of our women for 'having baggage'. But if you were to ask many of these women, I suspect they would tell you that their children and partners are actually assets. In the end, I don't think that Nemaska was able to find an eligible princess. And I couldn't help but think of all the amazing women in the community who could have been contenders, but didn't fit the bill. After growing up in the countryside of Western Canada, Monika moved from city to city. She completed some post secondary education and after years of bouncing around somehow ended up living in the small Cree community of Nemaska with her two dogs and fiancé.